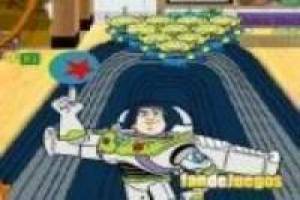 The characters of the classic Disney Toy Story take advantage of the fact that Andy is not in his room to organize a bowling tournament and we will have to accompany them in this adventure. You can choose your favorite character among Woody, Buzz, Hamm and Rex to start this game of bowling. Once you have it, we will begin to select the options of the shot, being able to change the initial position of the ball, select the desired effect and the power. Try to shoot all the Martians in one blow to make a full and add more points to your score. If you do not get it, do not worry, because it is also good to make a semipleno with which to continue adding points. 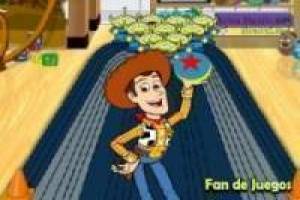 Get a great score and win in this Toy Story bowling tournament. 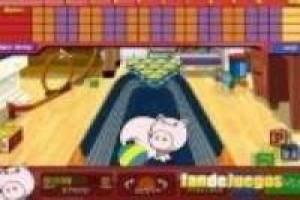 Enjoy the game Toy story: Bowling, it's free, it's one of our bowling games we've selected.